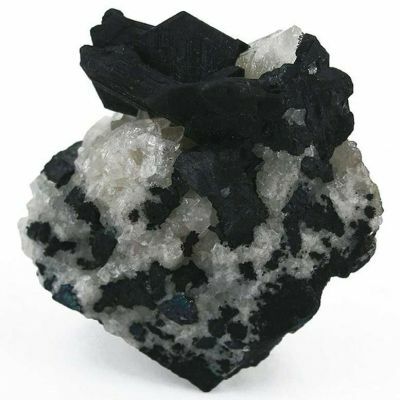 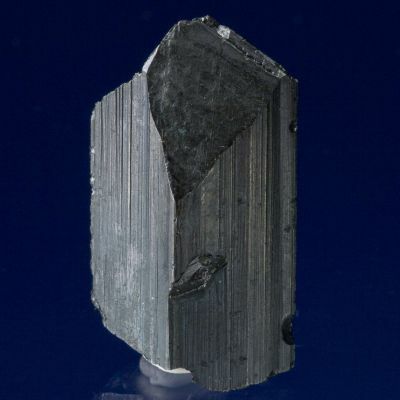 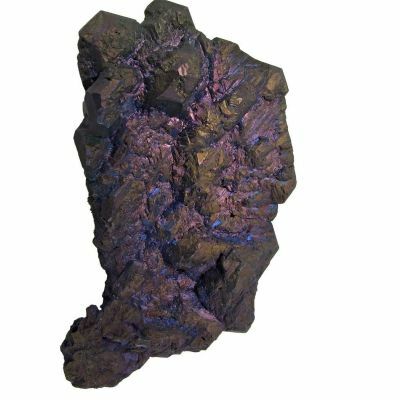 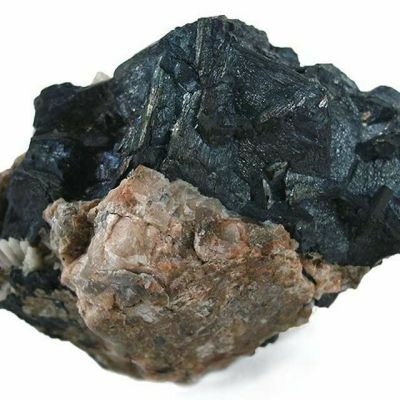 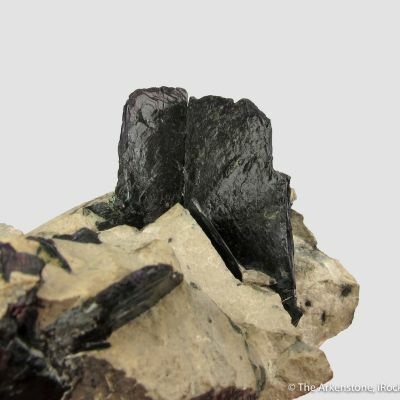 Butte is a highly collectible locality, which has produced some of the world's finest covellite specimens (primarily in the 1960s and before). 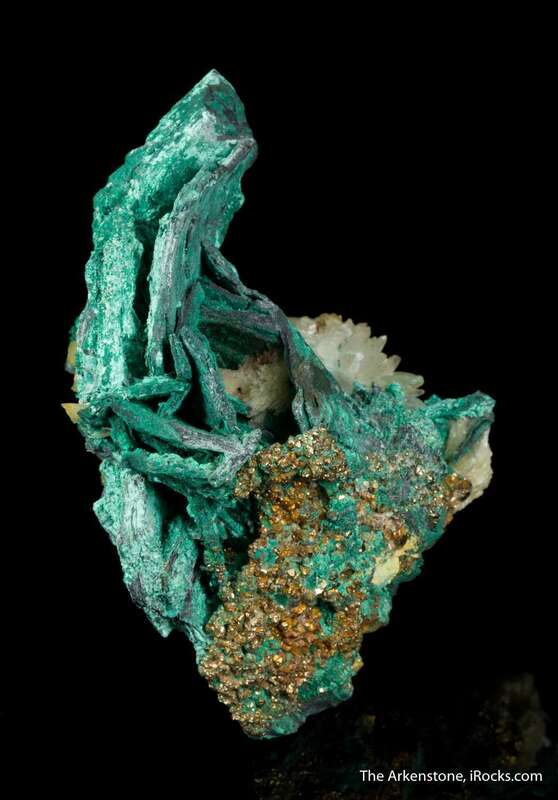 While many collectors now own a great Butte covellite, I think nobody has a combination specimen like this! 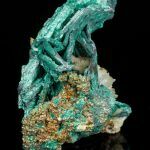 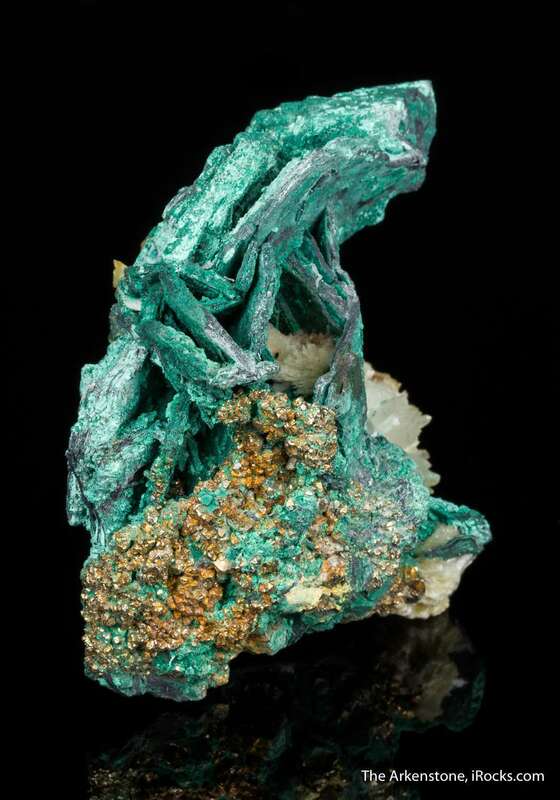 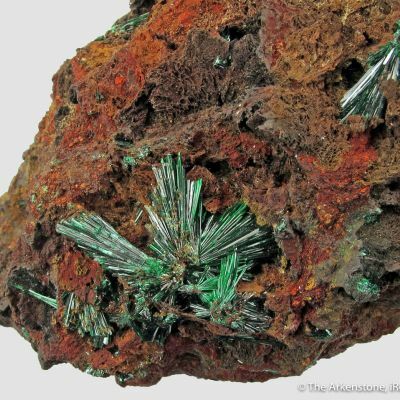 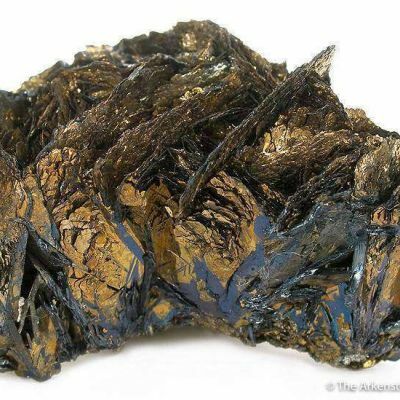 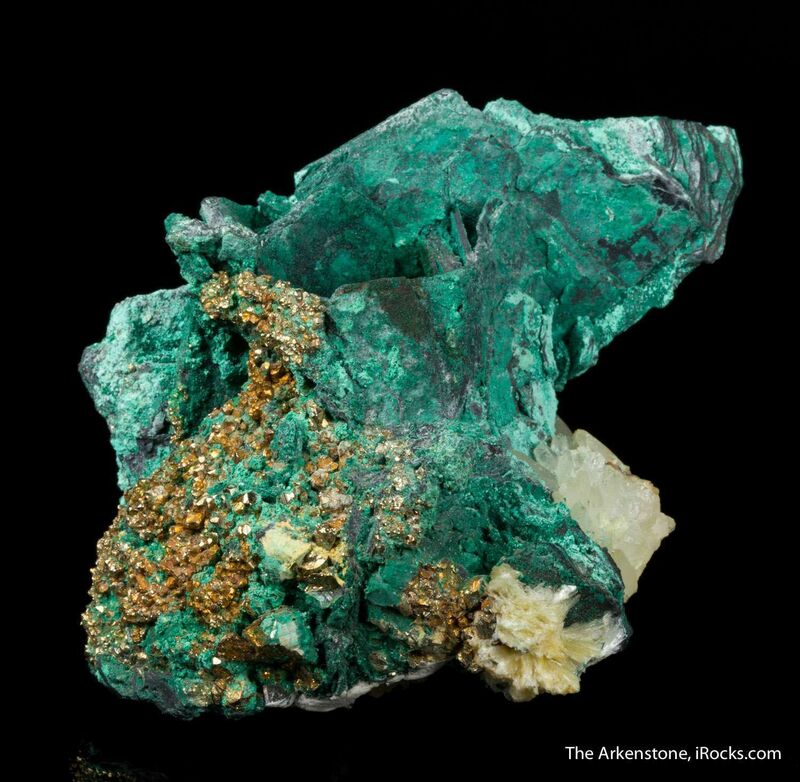 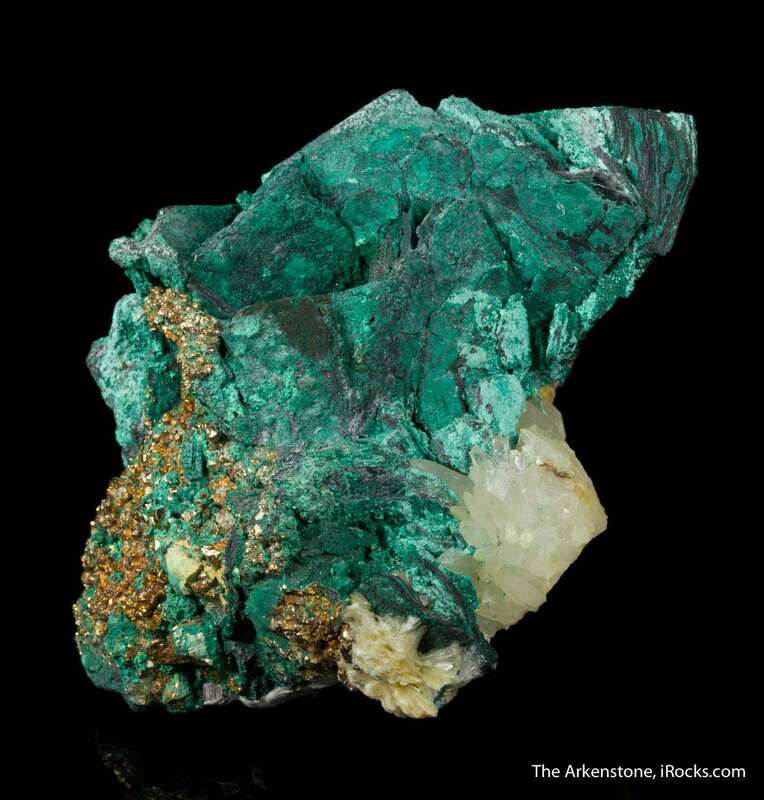 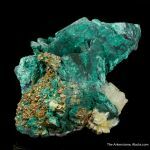 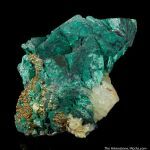 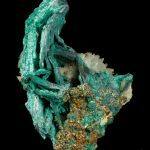 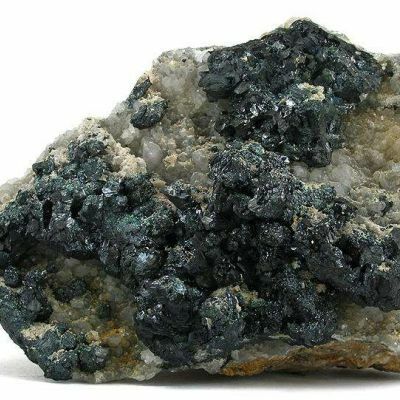 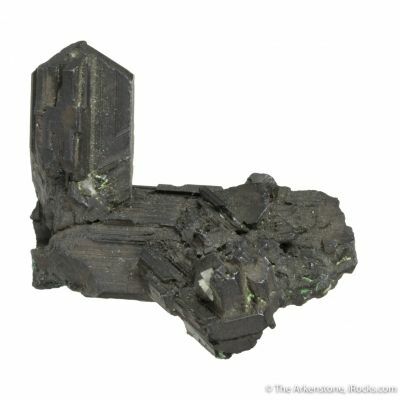 An unusual combo specimen, this piece features tabular covellite crystals, to 2.5 cm on an edge, that have been altered into the more robust copper species, chalcocite. 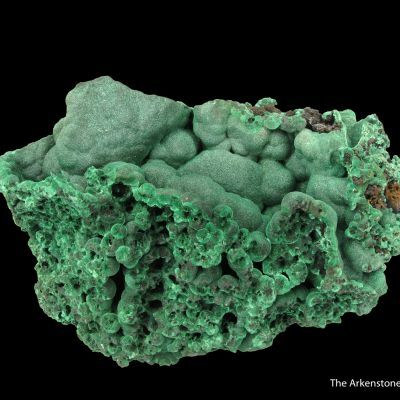 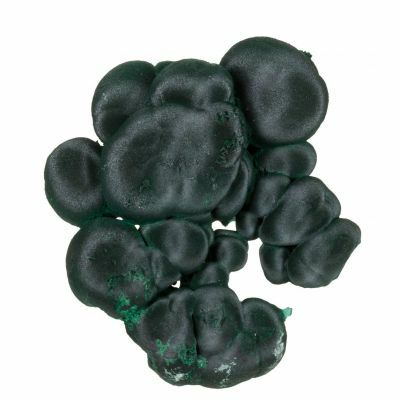 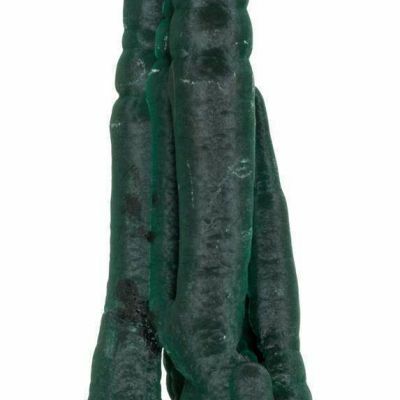 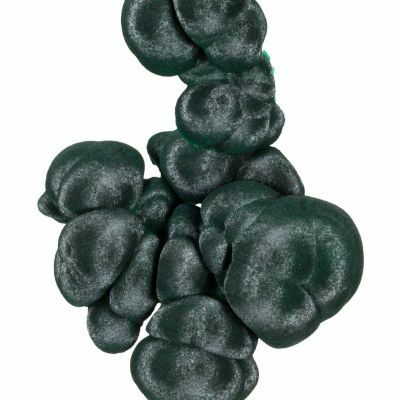 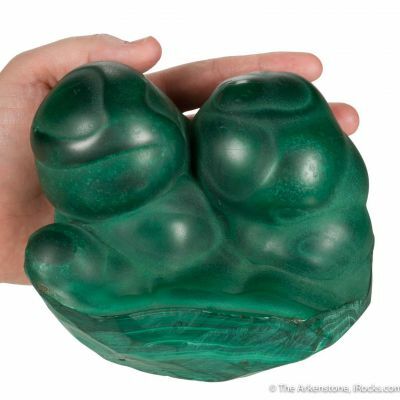 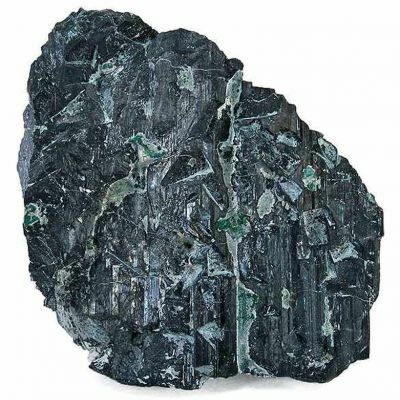 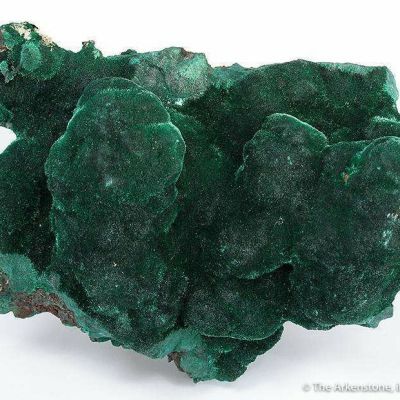 The crystals then have undergone a later oxidation/replacement stage where malachite replaced much of the chalcocite (you can tell by the heft, as well, as the piece is lighter than it seems it should be). 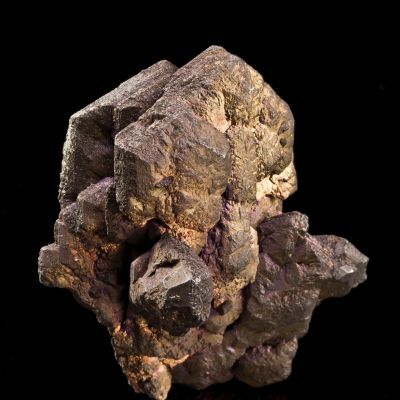 A druse of metallic pyrite is on the left side and gemmy, colorless quartz crystals provide accent. 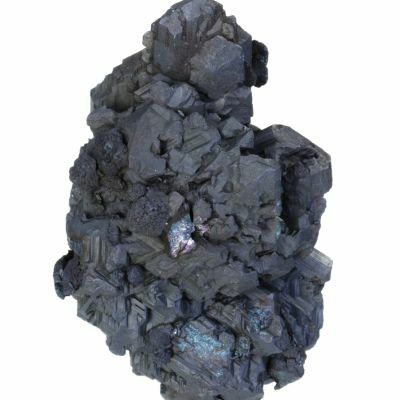 This is a display quality, cabinet-sized classic from an extinct American locality - and so far as I know, essentially unique in scale and quality. 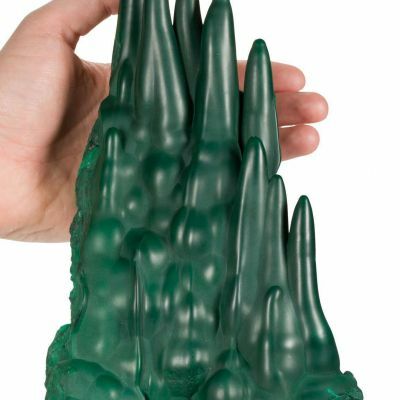 I have not seen anything similar in this size.